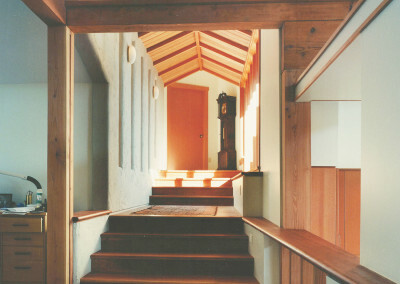 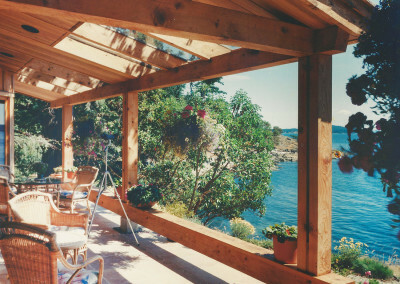 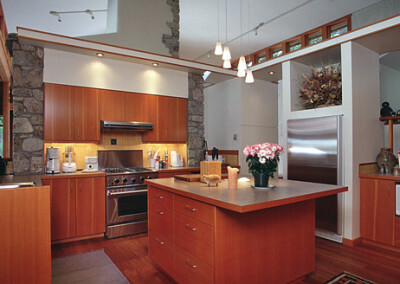 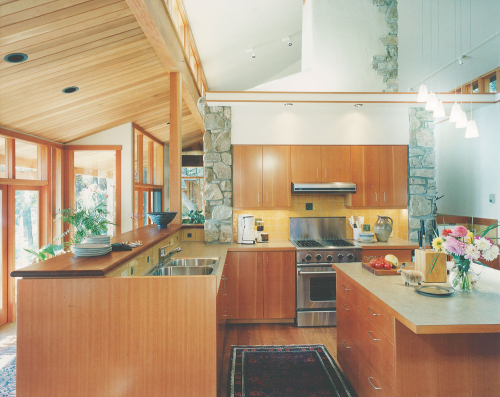 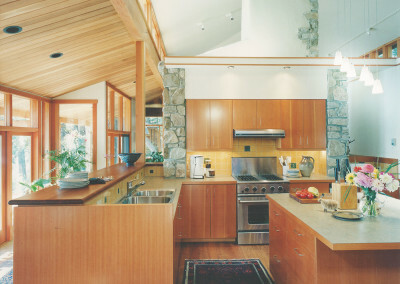 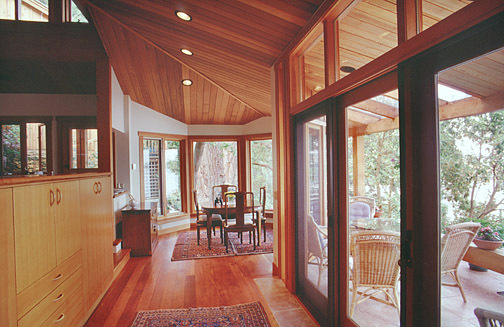 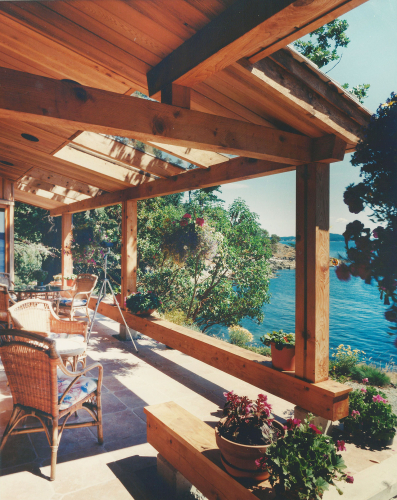 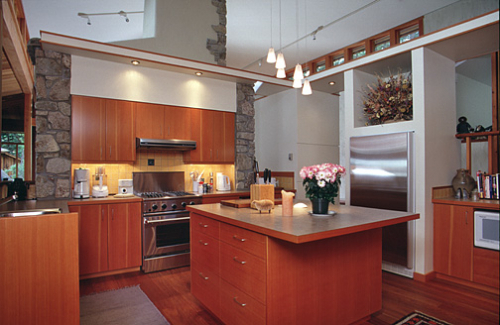 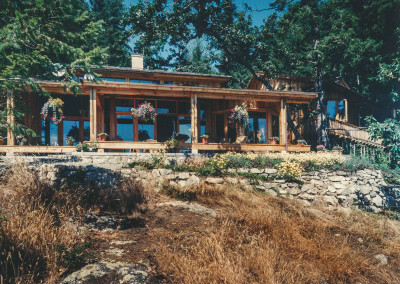 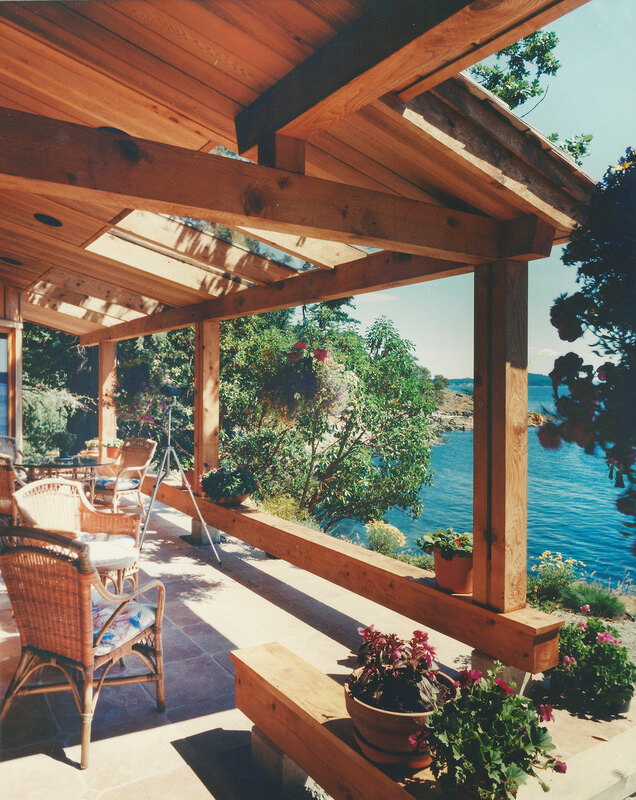 The design of this combination wood-frame and post-and-beam home in the British Columbia Gulf Islands is based on the clients’ desire for a sensitively sited home that would tread softly on the earth and fit the unique character of its majestic 5-acre waterfront parcel. 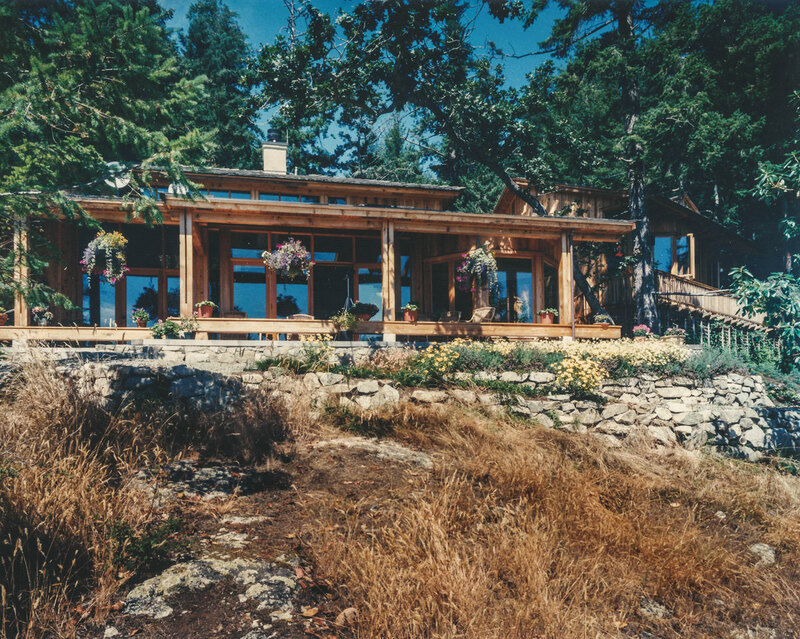 The cedar home was designed to fit the existing site’s contours, rising and falling as the earth naturally does. The site, directly facing south, has 500 feet of waterfront, and abounds with flora and fauna typical to the island, including 400-year-old Douglas firs and an endangered species of oak trees. 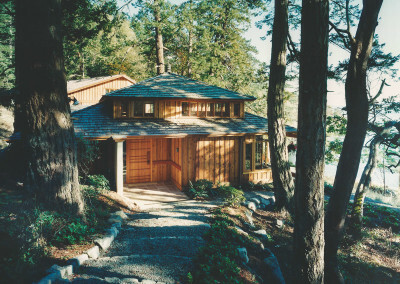 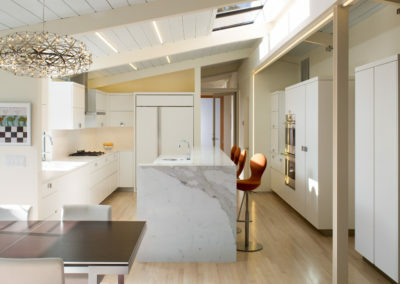 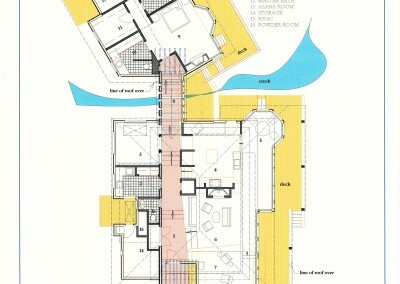 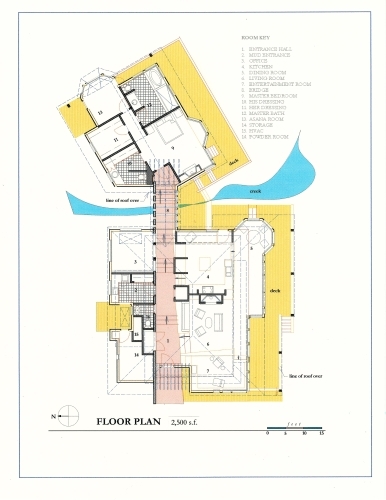 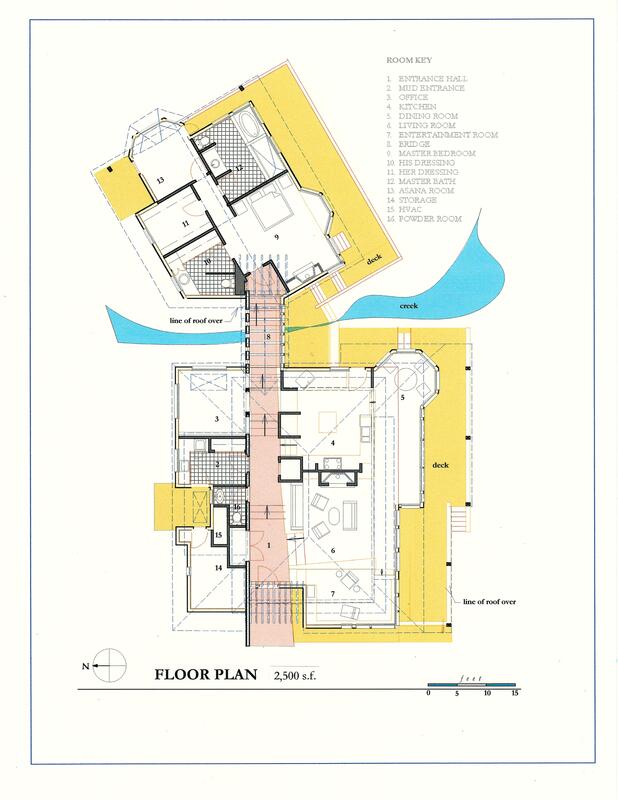 The goal was to buffer the house from the cold north winds by locating services along the northern end, such as laundry and storage, while opening up the living spaces to the spectacular ocean and island views on the southern side. 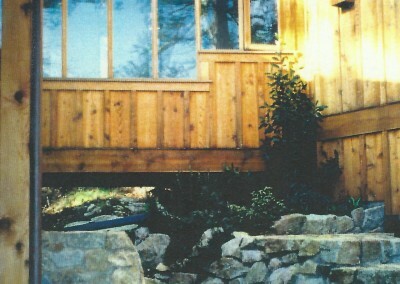 The site is divided by a natural seasonal creek, which runs beneath a closed-in, covered bridge. 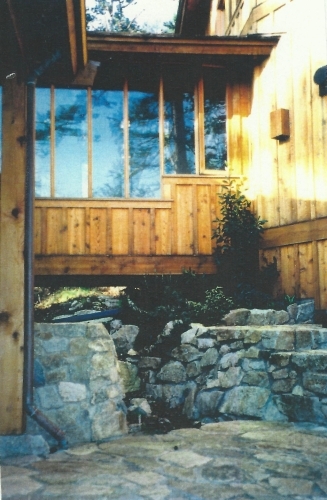 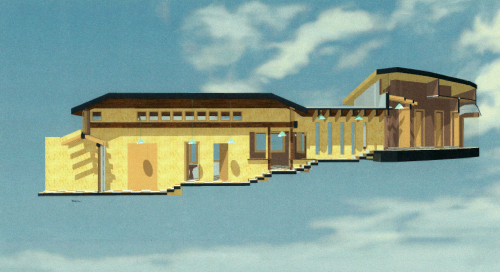 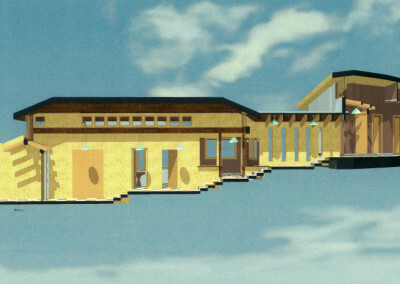 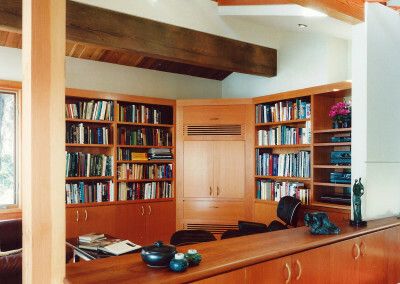 The bridge is the dividing point within the home, connecting the public living areas with private sleeping and living quarters. 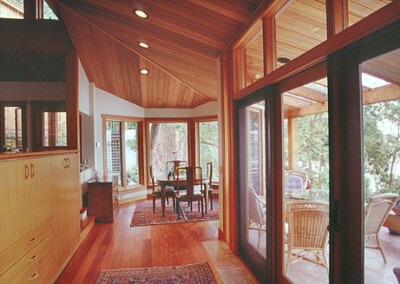 Guests are accommodated in a nearby guest house, built as a complementary, jewel-like structure. 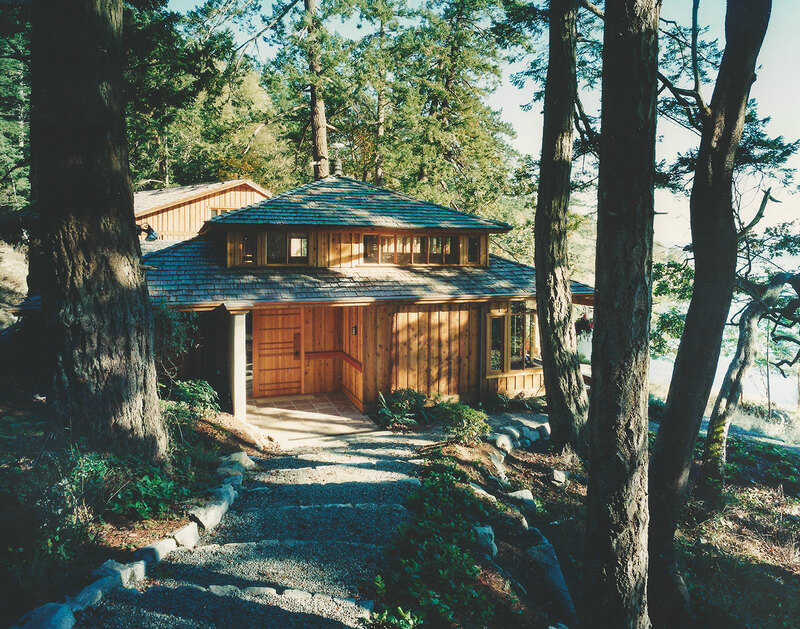 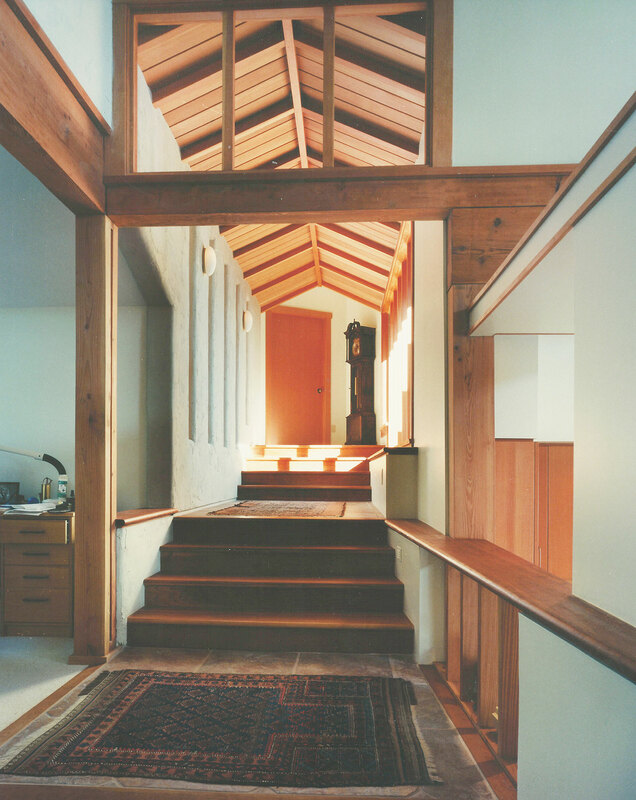 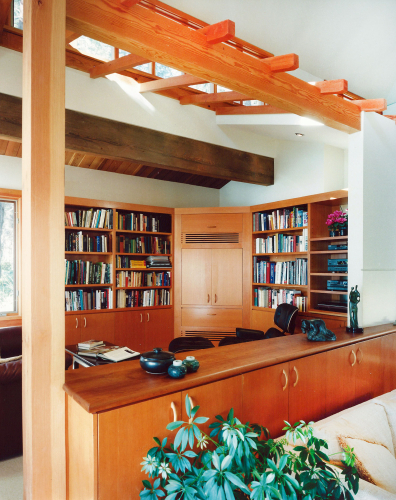 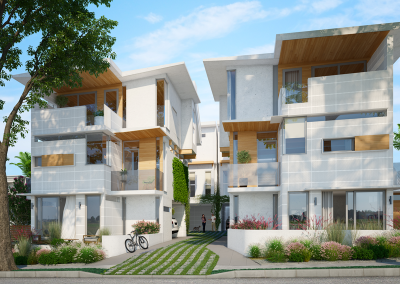 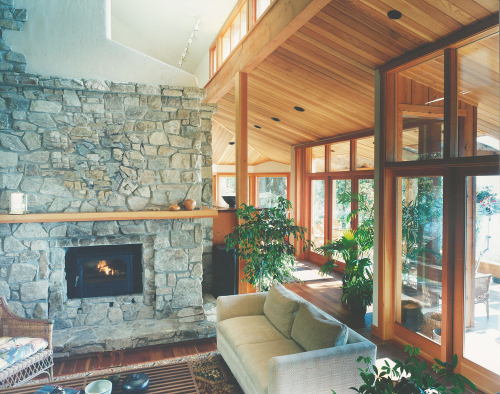 The home itself is a journey, beginning and ending with nature, respectful of its natural surroundings and the homeowners’ interest in Eastern philosophies. 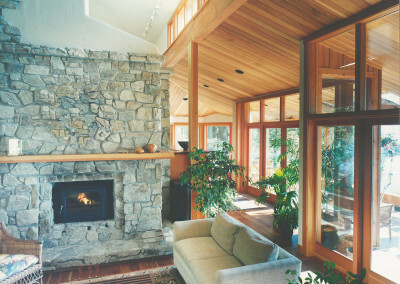 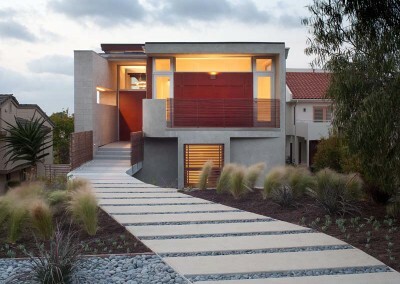 The home’s openness allows the landscape to flow through the house, orchestrating views and experience.